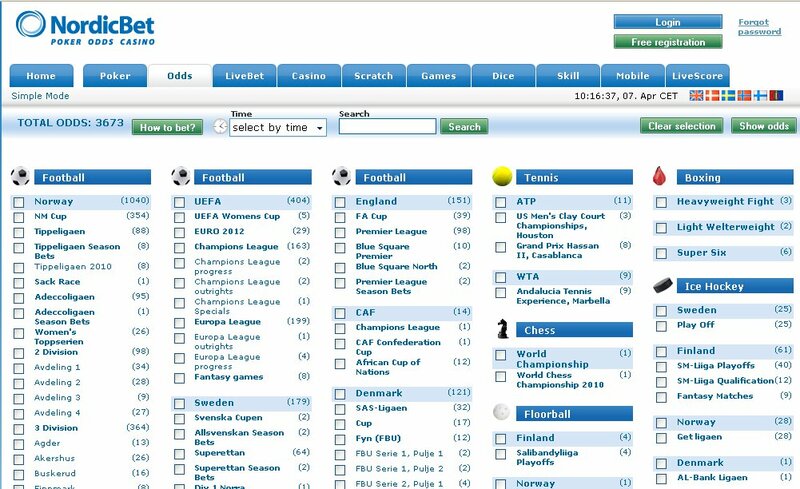 Nordicbet - Scandinavian online bookmaker review. 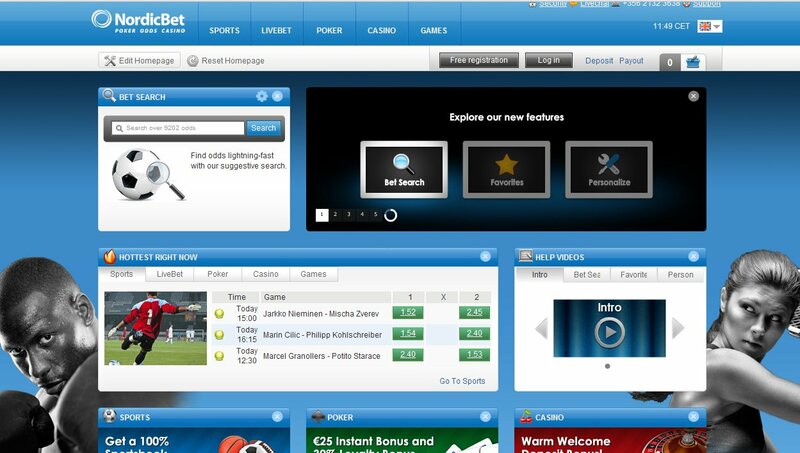 NordicBet is a Scandinavian online bookmaker established in 2002 and licensed in Malta. NordicBet is a brand owned by the Malta-based Betsson Gaming Group Ltd (NGG). Nordicbet is available only for users from the Norway, Sweden, Finland, Denmark, Iceland and the Faroe Islands. Nordicbet.com's Odds section covers mainly European sports with emphasis on typically Scandinavian disciplines, e.g. bandy, floorball, trotting, ice hockey, and different winter sports. 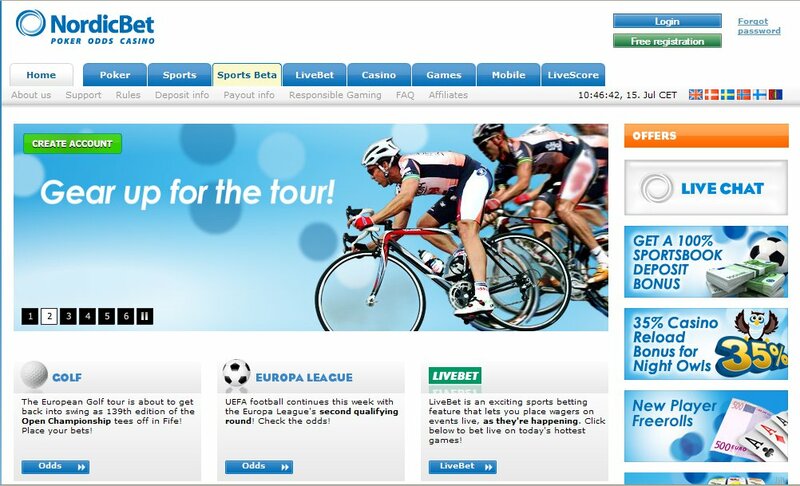 The Live betting is very neatly organized and, as the whole website, is easily navigable. Additionaly, the Malta-licensed bookmaker offers a great deal of bets related to different local Scandinavian events in broad Special Events and Entertainment sections. Nordicbet.com's online gaming products include poker (with the VIP area for active poker players), casino (more than 130 casino games including table games, slot games, and video games), games, skill, and dice (lots of games with the fun-cube such as Dice Hold'em or Backgammon, playing either for fun or for real money, powered by DiceArena). What is also good about Nordicbet.com is their variety of head-to-head bets. The Scandinavian bookmaker also occassionaly offers 100% theoretical payback on certain matches. Max stake The max stake is individual from one bet to another. Requests for extra stakes are available.